Drawing from Within is an introductory guide for those wanting to explore the use of art with clients with eating disorders. 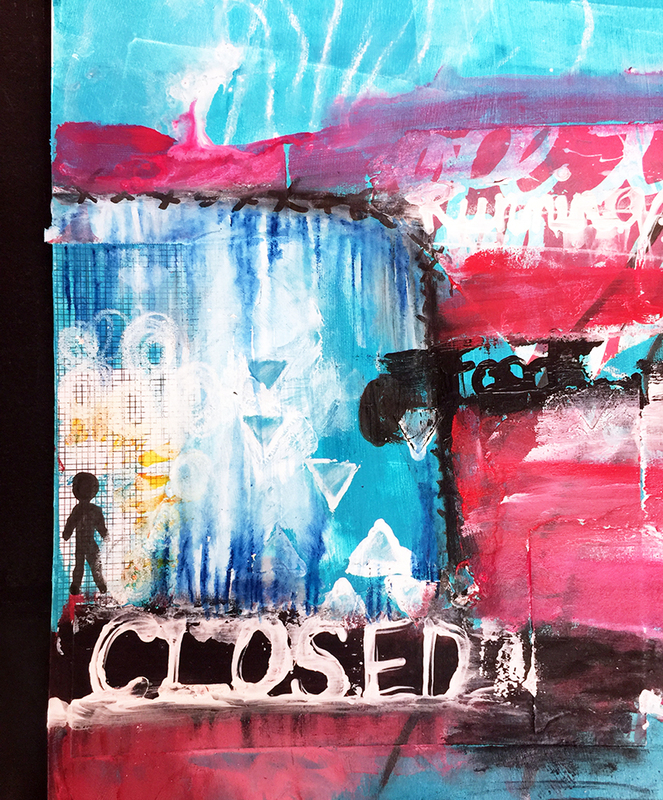 Art therapy is a particularly effective therapeutic intervention for this group, as it allows them to express uncomfortable thoughts and feelings through artistic media rather than having to explain them verbally. Lisa D. Hinz outlines the areas around which the therapist can design effective treatment programmes, covering family influences, body image, self-acceptance, problem solving and spirituality. Each area is discussed in a separate chapter and is accompanied by suggestions for exercises, with advice on materials to use and how to implement them. Case examples show how a therapy programme can be tailored to the individual client and photographs of client artwork illustrate the text throughout. 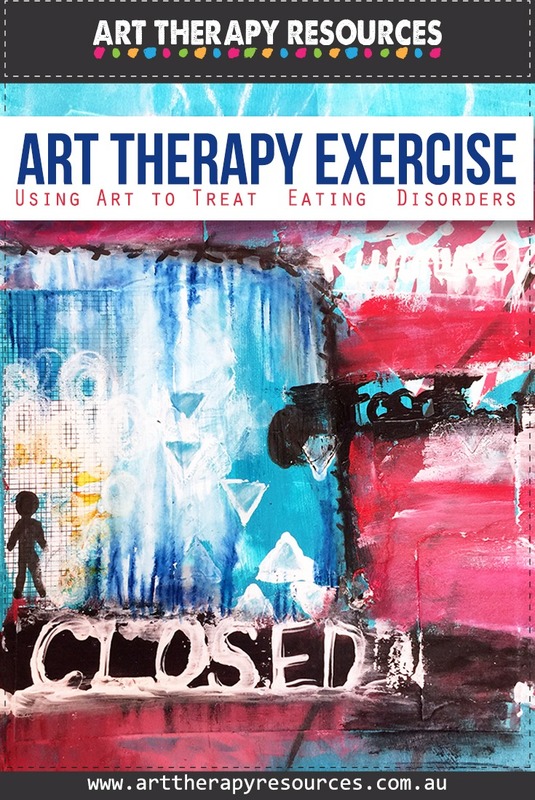 Practical and accessible to practitioners at all levels of experience, this book gives new hope to therapists and other mental health professionals who want to explore the potential of using art with clients with eating disorders. I have included a pdf download of the chapters included in the book. You can also view the contents and a few sample chapters of the book on Amazon here (affiliate link). We’ve reviewed another book by Dr. Hinz before called Expressive Therapies Continuum: A Framework for Using Art in Therapy and you can read the review here. Like that book, this book is also essential reading for the art therapist, particularly those who help clients with eating disorders. This book provides an excellent foundation and structure for art therapists to work through as they build their knowledge around integrating art therapy with the treatment of eating disorders. Drawing from Within provides a useful framework for art therapists to increase their understanding of clients with eating disorders, including discussion around the effects of eating disorders, understanding childhood influences, body image issues and how to enhance self-acceptance. Drawing from Within explores the effectiveness of developing problem solving skills which can be facilitated through clients applying problem solving skills when using art media. The Drawing from Within book contains a significant amount of content focused on interventions for clients with eating disorders. The book contains many examples of client interactions in therapy along with sample art images. This provides the reader with a deeper understanding of the therapeutic uses of art therapy for clients as well as a variety of client perspectives. 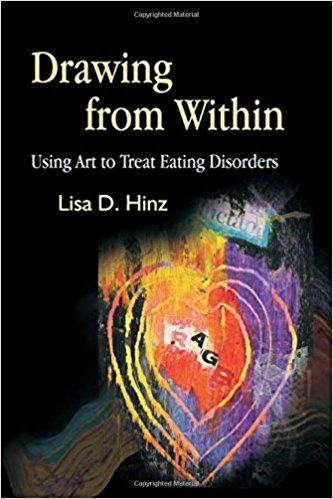 The author Dr. Hinz provides a clear reason behind the benefits of providing clients with eating disorders with structured art activities within the therapeutic environment. With this in mind, the book contains many useful art directives that art therapists can use with their clients. Along with the art directives, the author also includes a description of the expected themes that may occur when working with clients with eating disorders. We have included an example exercise from the book. This exercise is featured in chapter 4 Effects of the Eating Disorder. The task details are taken from Drawing from Within – Using Art to Treat Eating Disorders. . The artwork image is provided by Art Therapy Resources. 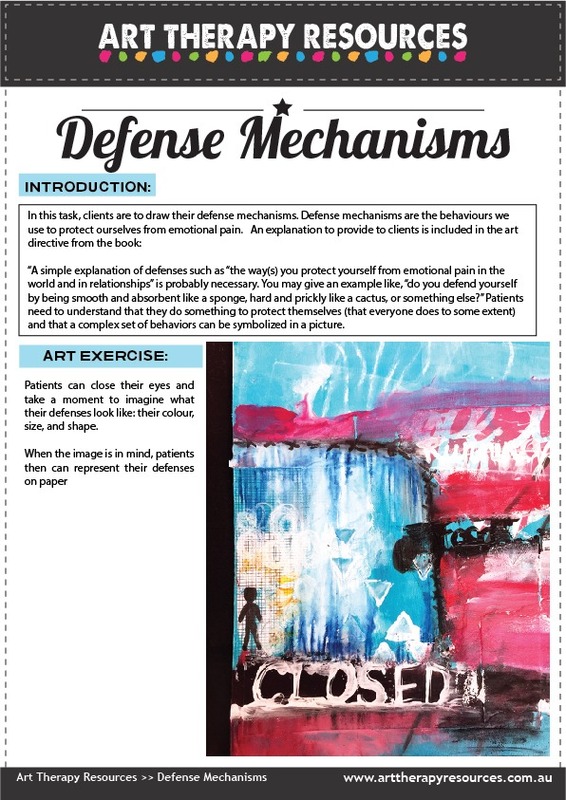 In this task, clients are to draw their defense mechanisms. Defense mechanisms are the behaviours we use to protect ourselves from emotional pain. OUTCOME: The client explored the walls put up through running, food and being closed to emotional expression and relationship attachment. The client used blue inside the walls to represent feelings of safety and calm. The use of red outside the walls represents the possibility of being hurt as the colour red is connected with fire (pain and being burned) and blood (being physically hurt). Blue was also used outside the walls beyond the red colour. The client knows that those feelings of safety and calm can also be felt outside of their walls, however, the red paint (hurt and pain) is preventing the client from reaching that space. Clients may not be aware of the behaviours and thought processes they engage in that are used as defense mechanisms to deal with emotional pain. This exercise will help provide the client with insight into some of the maladaptive behaviours and thoughts they can look for in the future.